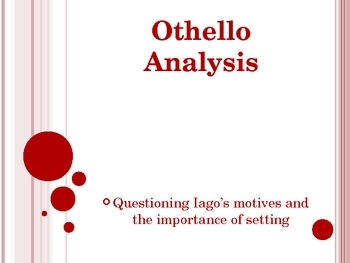 Shakespeare's tragedy of Othello introduces us to one of the most heinous and notorious villains ever written, Iago. 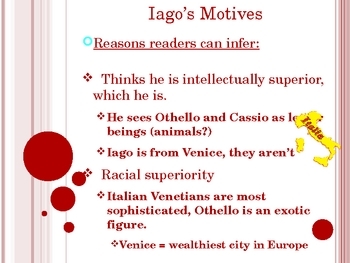 This Power Point analyzes Iago's possible motives for his betrayal. It also covers the importance/implications of Cyprus as a setting for the play.